One of the most enduring theatre successes of the 1990s, Stones in His Pockets returns to UK stages next week after a 20-year absence. Marie Jones’ Olivier award-winning 1996 comedy is about what happens when small-town Irishmen Charlie and Jake are hired as extras on a big-budget US movie that invades their quiet County Kerry backwater. 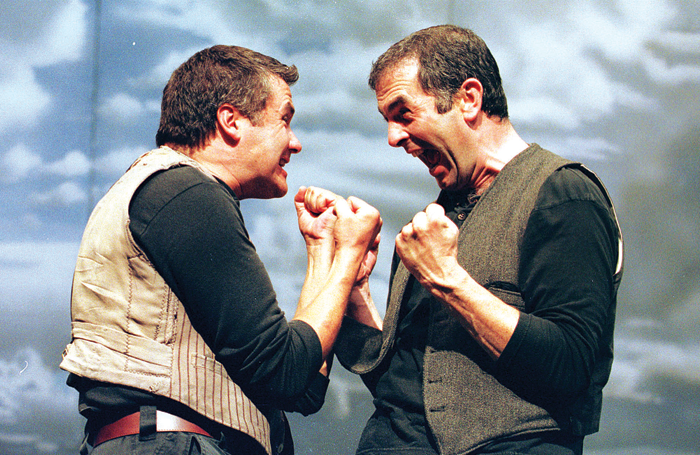 Despite its then unknown actors – Conleth Hill and Sean Campion – and a shoestring budget, the play beguiled audiences in Belfast and Edinburgh before moving to London in 1999, first to the Tricycle Theatre (now Kiln) in Kilburn and from there to the Duke of York’s in the West End, where it ran for three years. Its admirers included a steady stream of big-name film stars, from Dustin Hoffman to Angelina Jolie. A six-month Broadway run, with the same two actors sharing 15 characters between them, was followed by a US tour, and worldwide productions, most recently in Finland. It was nominated for three Tony awards, having already won two Olivier awards (best new play and best actor), and an Evening Standard award for best comedy. 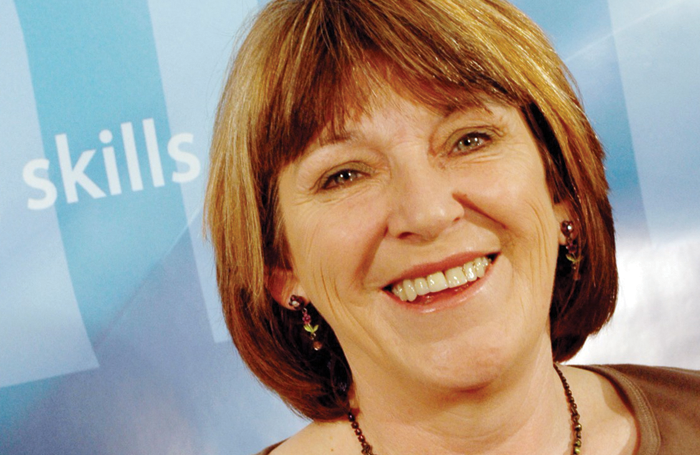 Jones, who was originally an actor – she played Daniel Day-Lewis’ mother in the 1993 film In the Name of the Father – was more surprised than anyone to find herself an internationally known award-winning playwright. The work evolved out of a radio documentary Jones wrote about her husband Ian McElhinney’s experience of working on the 1992 film The Playboys, in which the US film star Robin Wright, who starred in The Princess Bride and the US remake of House of Cards, was strangely cast as an Irish pig farmer. 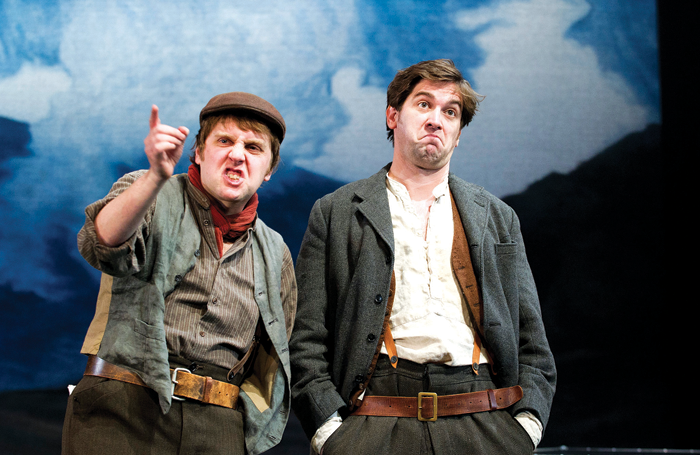 The original productions of Stones in His Pockets were directed by McElhinney for the Belfast-based Dubbeljoint Theatre Company of which the couple were founder members. Jones recalls: “The first time we produced Stones in 1996, it didn’t work at all, so I did some more polishing and Ian said he wanted to have another go at it, with the same actor, Conleth Hill, who was a friend of ours, and the equally brilliant Sean Campion. 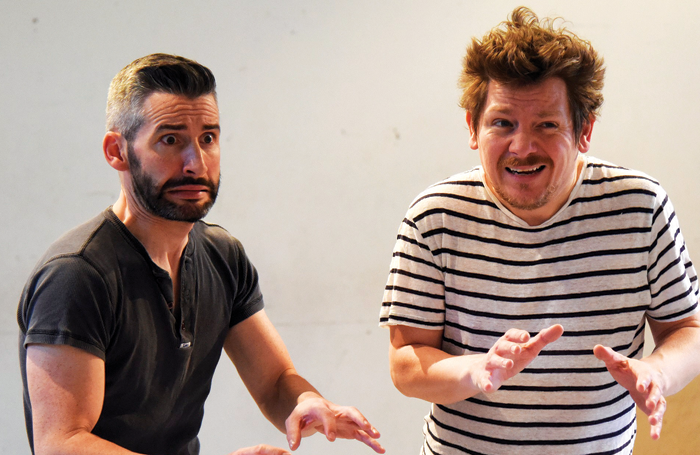 Finding the right actors to play Jake and Charlie is key to the success of any production of the play, and director Posner feels sure he has hit the jackpot with Kevin Trainor and Owen Sharpe.